Alex Lukas has shown his work around the world at venues in Copenhagen, Stockholm, London, San Francisco, NYC, Philadelphia and Miami. 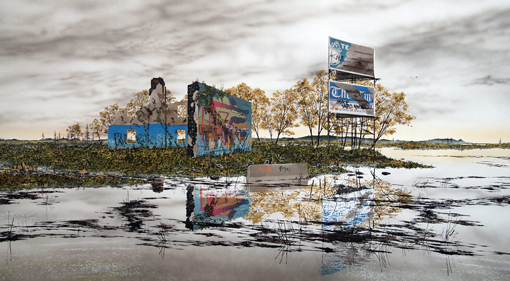 His work has appeared in publications such as the Washington Post, the Boston Globe and Juxtapoz Magazine. In 2001, he founded Cantab Publishing and has released over 30 hand-made 'zines. Lukas received his BFA from the Rhode Island School of Design.